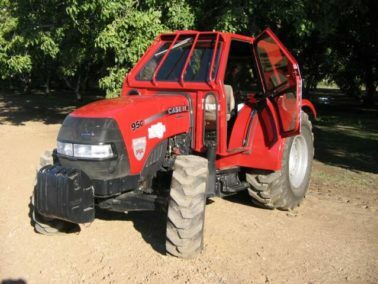 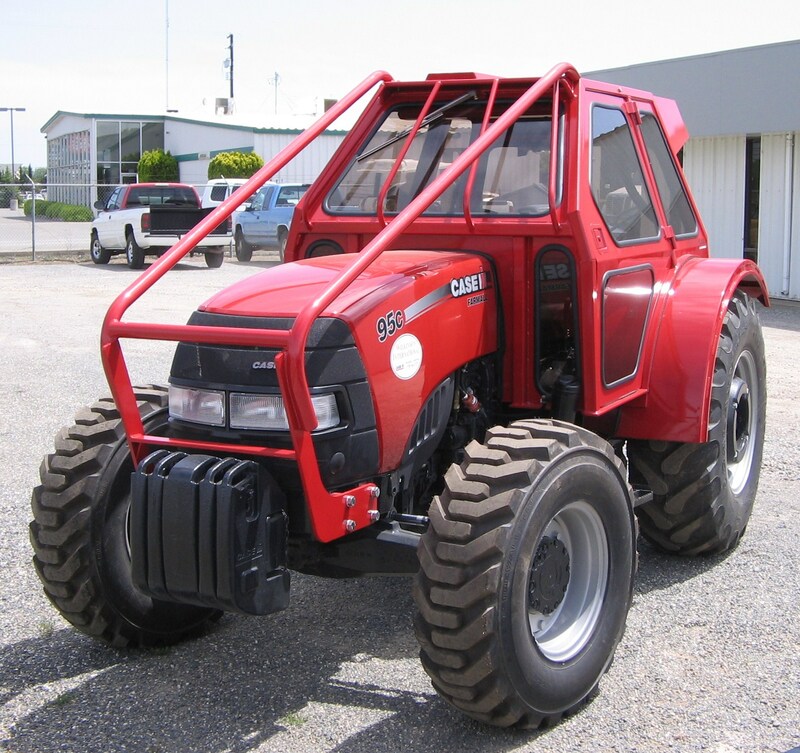 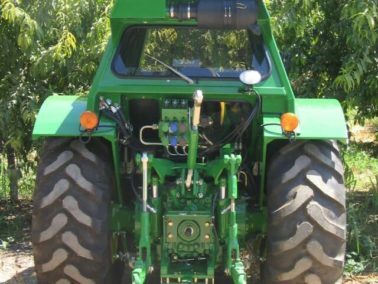 The Nelson Orchard Cab is a protective enclosure (tractor cab) that provides a climate-controlled environment for tractor operators. 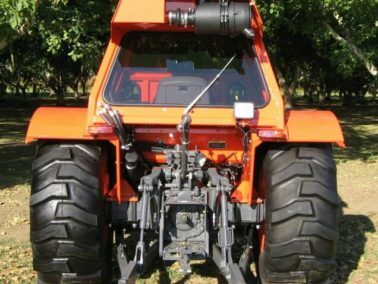 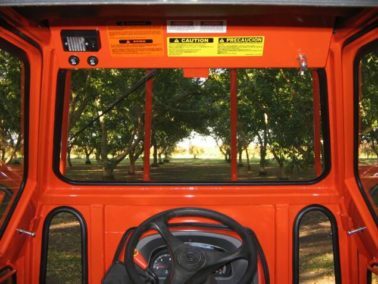 Designed to fit many models of Low Profile orchard tractors (John Deere, Kubota, New Holland, Massey Ferguson, Case/IH), the Nelson Orchard Cab not only protects the operator from the elements and tree limbs but also a certified Roll Over Protective Structure (ROPS). 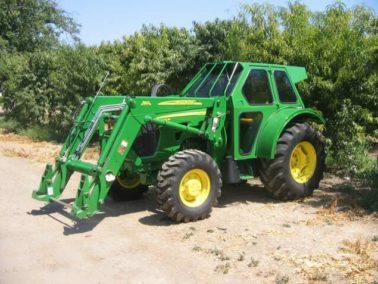 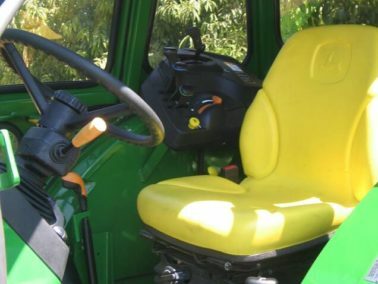 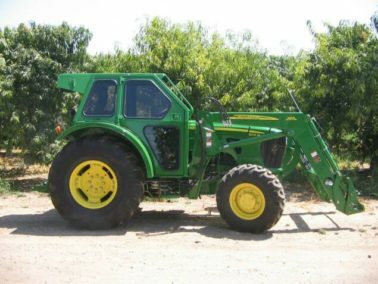 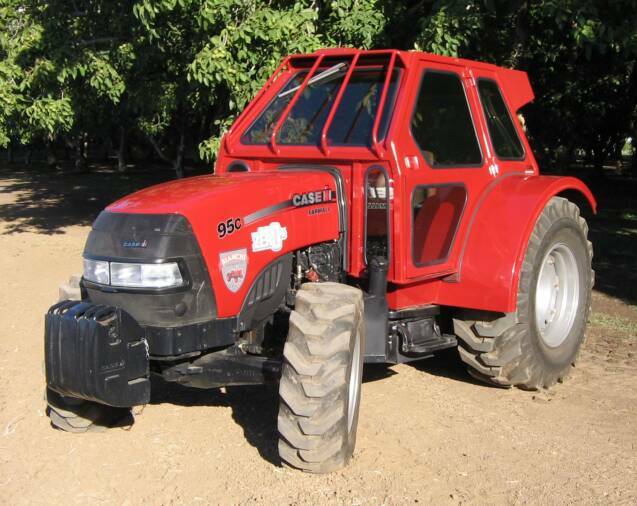 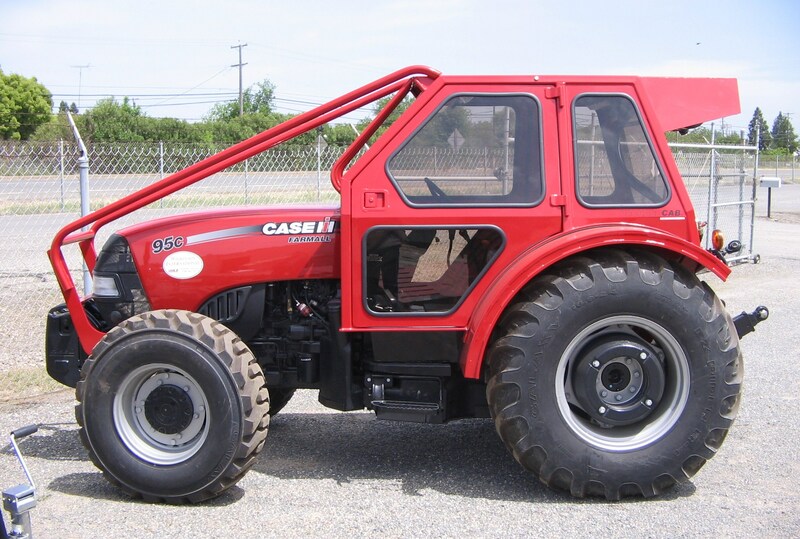 All of our Orchard Cab include Air Conditioning and full fenders (fenders cover the rear tires over the front and top) as standard equipment. Options include a Heater, Stereo and “Limb-lifting” bars that guide tree limbs up and over the cab. 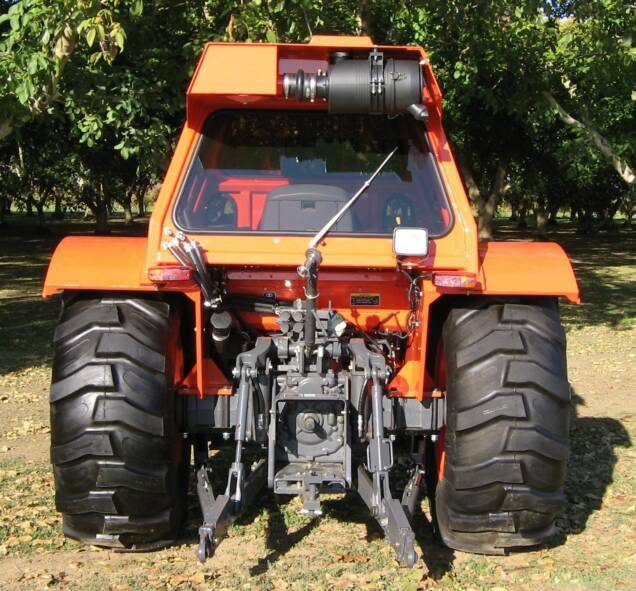 Please see our Orchard Cab brochures for more information and specifications. 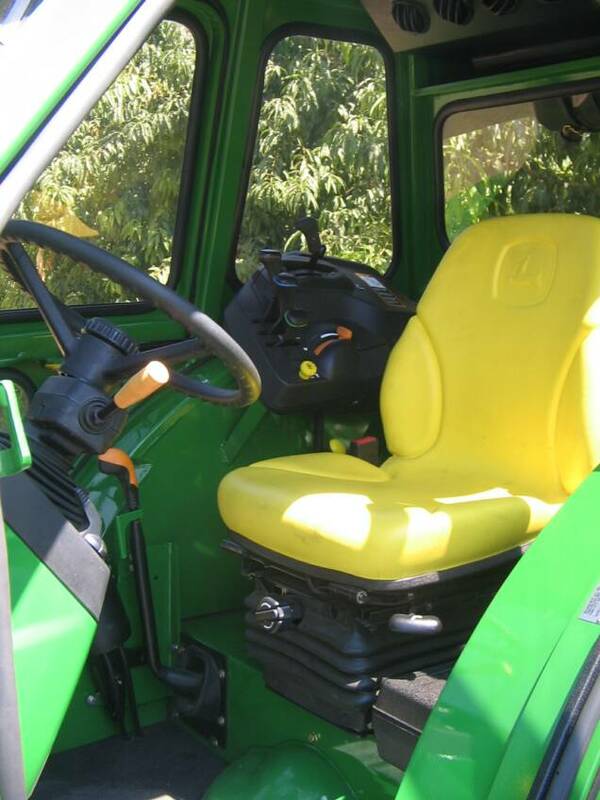 We offer 3 brochures to choose from. 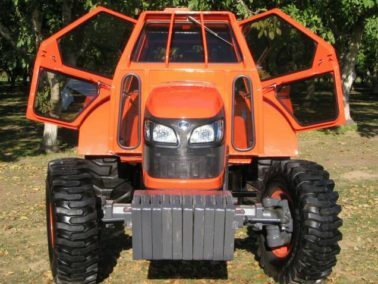 All are in PDF format. 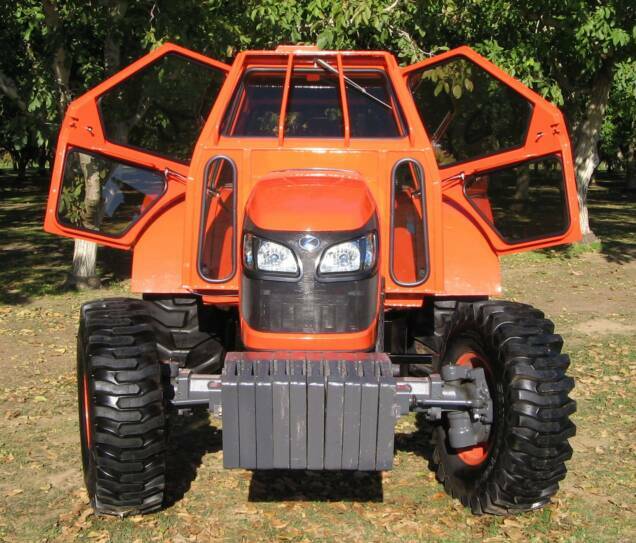 Nelson Mfg. 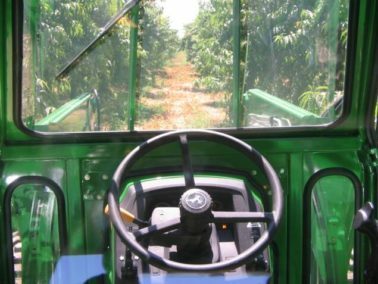 Co., Inc. built the first Spray Cab in the early 1980’s at the request of a local peach farmer that wanted protection from the elements and from tree limbs. 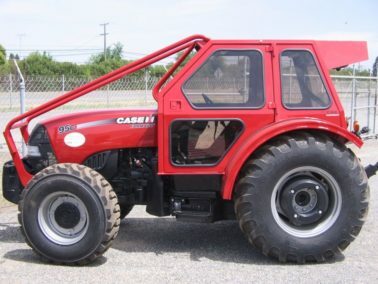 Soon after the cab was tested and was certified as a Roll Over Protective Structure (ROPS). 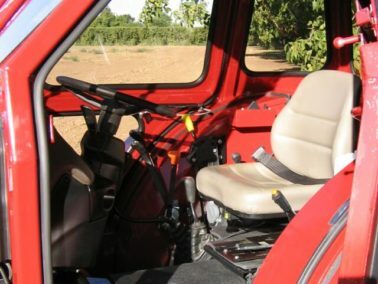 With even more testing and refinements, in the nineties and up until 2006, the Spray Cab met the requirements of US EPA as “An enclosed cab for use without a respirator while spraying dangerous chemicals.” Nelson used two blower motors to draw outside air through a pre-filter, a HEPA filter and a Carbon filter and then pressurized the cab with filtered air. 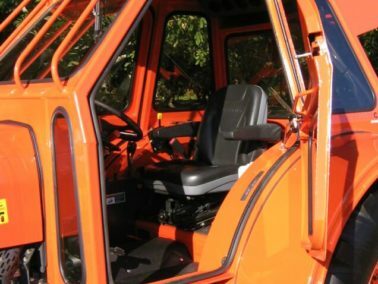 A gauge inside the cab allowed the Operator to monitor the cab pressure. 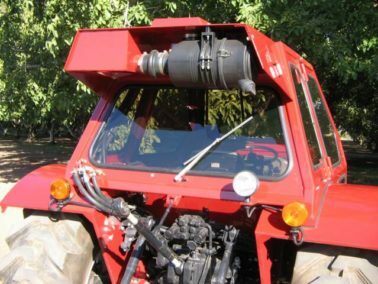 Because of the tough working environment in orchards and vineyards, and with the possibility of interior contamination via the operator’s coveralls, etc., it is virtually impossible to keep any cab maintained in the condition necessary to meet respirator requirements. 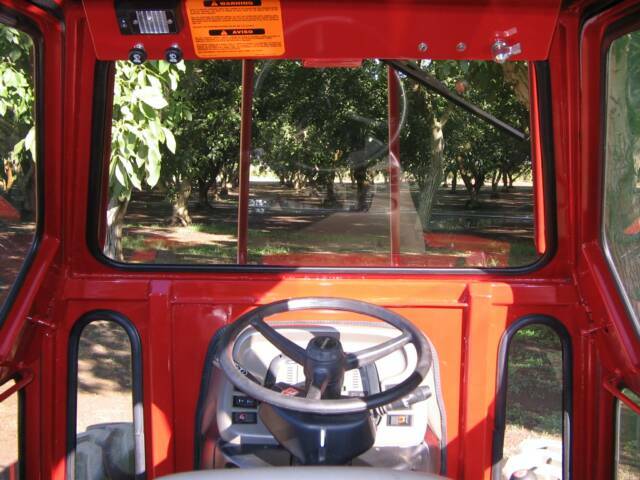 Due to these situations, we made the decision in 2005 to re-design the Nelson cab and re-named it “Orchard Cab“. 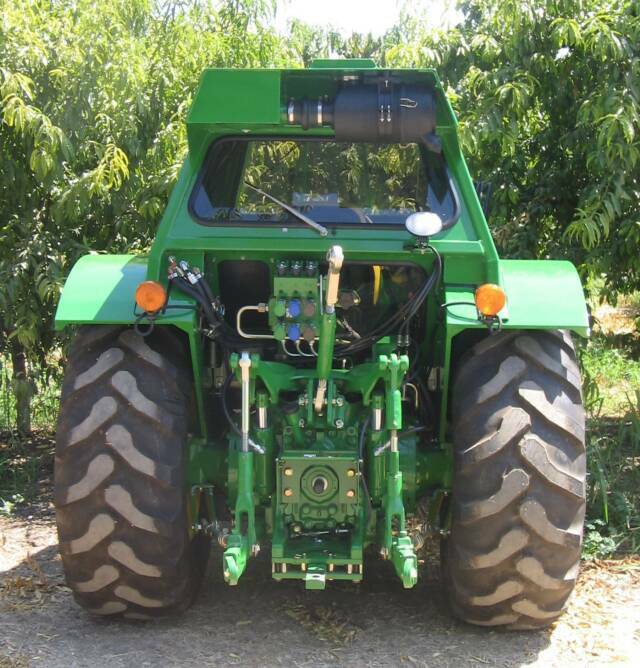 Today, the operator MUST wear a respirator in the Nelson Orchard Cab while spraying dangerous chemicals. 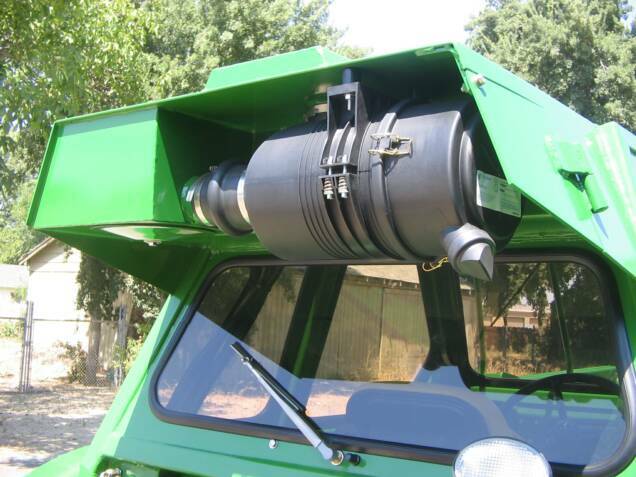 As always, in order to use the original “Approved” Nelson Spray Cab as a respirator, the cab MUST be maintained as outlined in the original Nelson Spray Cab Operator’s Manual. New “Orchard Cab” is Cooler and More Refreshing Than Ever! 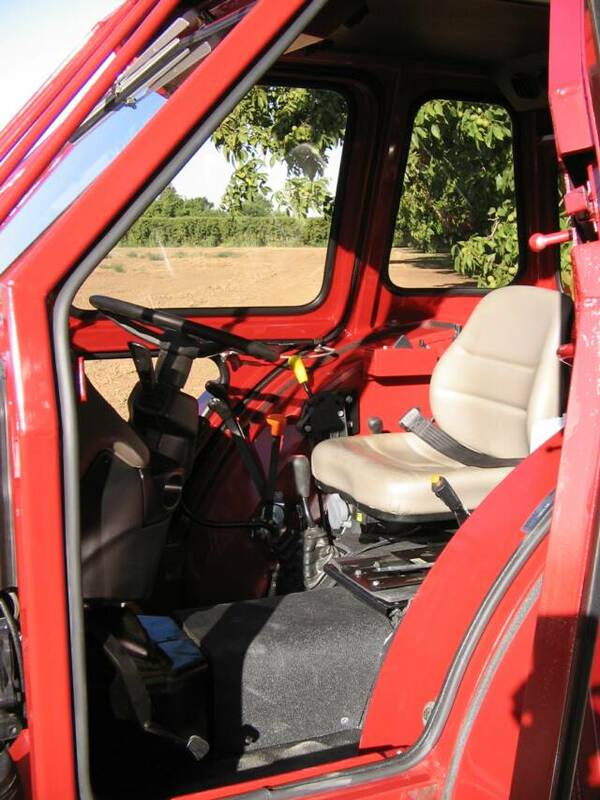 Today’s Nelson Orchard Cab reflects a focus toward operator comfort. 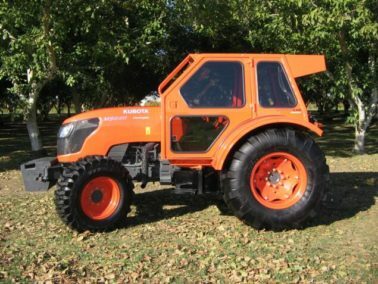 Still ROPS certified, and providing the ultimate in protection from tree limbs and the elements, the Orchard Cab keeps the operator comfortable in a cool, dry environment. The design includes the quality SyKlone Filter/Blower unit which pressurizes the interior of the cab with filtered air to help keep dust out. 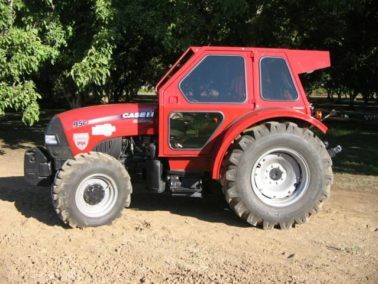 The dependable Red Dot A/C unit re-circulates the cab inside air through the evaporator and creates the most refreshing inside atmosphere ever, a MUST for efficient production. 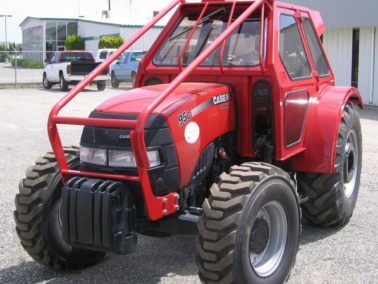 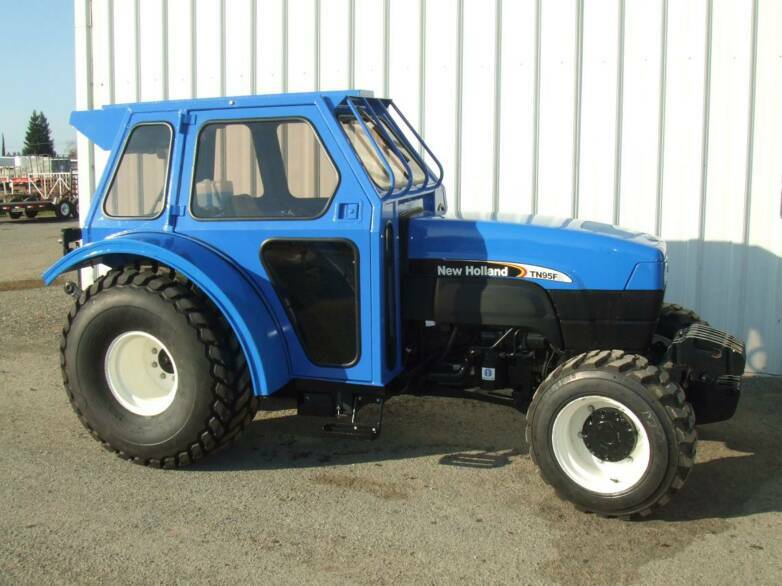 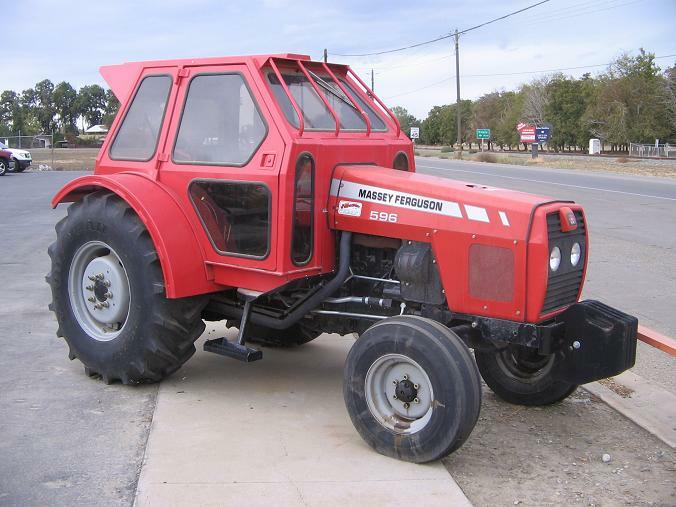 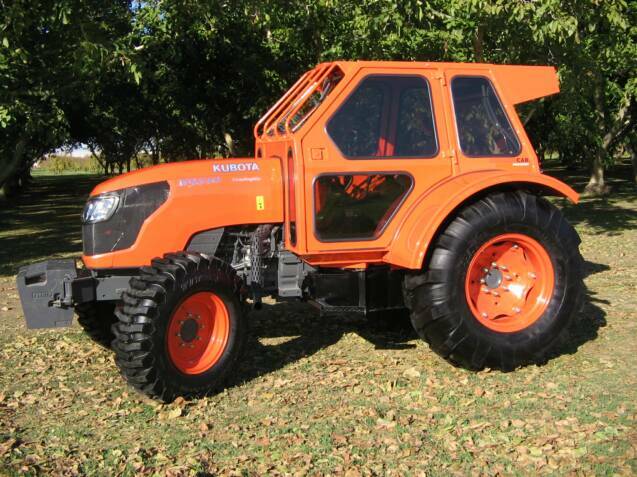 Nelson also utilizes tractor-factory A/C engine components wherever possible for dependability. *An optional Cab Filter with a Carbon inner element is available. 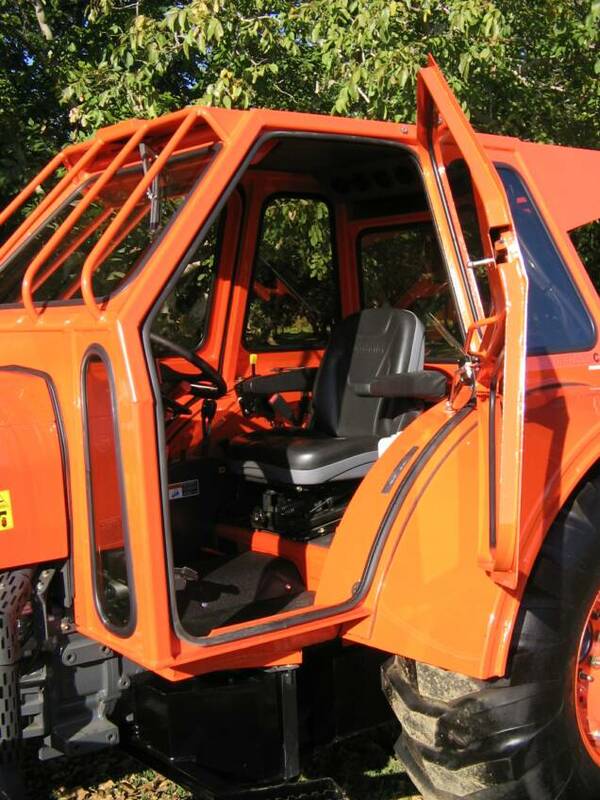 Operator still is required to wear a respirator inside cab while spraying dangerous chemicals.